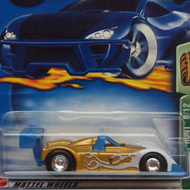 7/12 from the 2003 Treasure Hunt series. 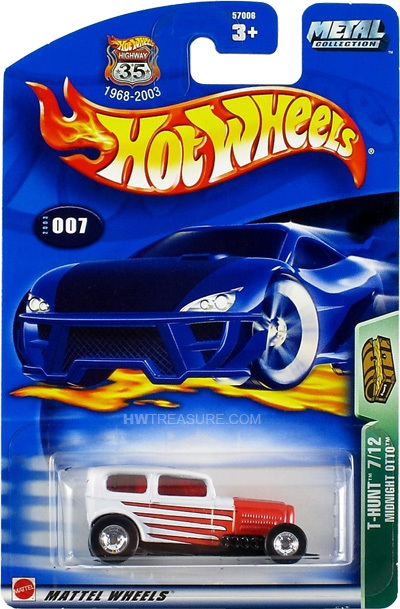 The white hot rod sports red, orange, and black graphics with the TH logo on the roof. 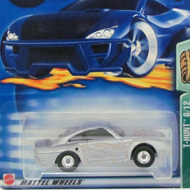 It has red tinted windows, Deep Dish Real Rider wheels, and a black metal Malaysia base. The Midnight Otto debuted in the 2002 First Editions series and is based upon a modified 1932 Ford sedan.